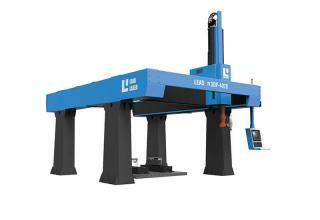 Moving gantry beam adopts new structural design as well as new manufacturing process, aluminum alloy extrusion beam. Comparing with casting beam ,20% lower weight and 20% increased stiffness. Good stability at the high acceleration condition. 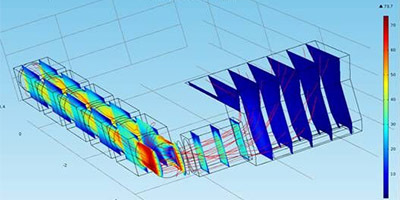 CNC system written the human-computer interaction interface, adopt full chinese control software, operate simply and intuitively. The cutting area with three open sides is more wide vision. It is more freedom to load and unload which is suitable for different space layout. Electric control cabinet adopts separate structure applying to different space layout. 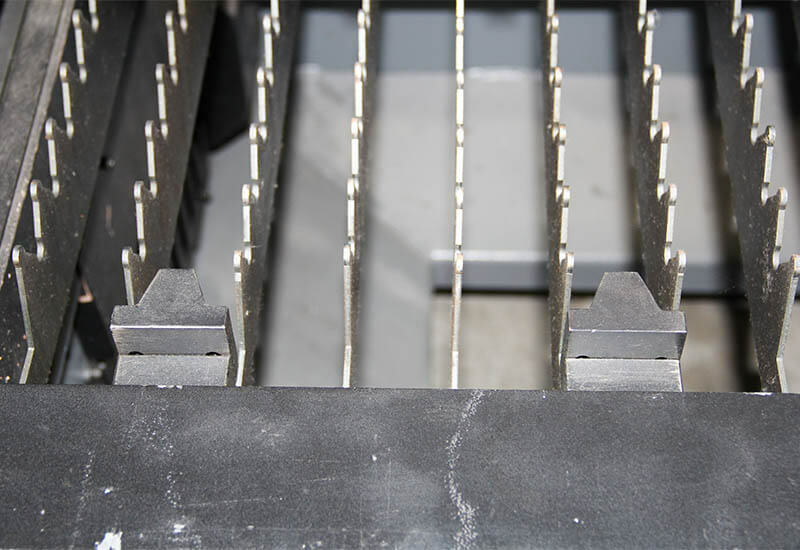 Cutting chamber adopts the design of moving grid to endless cutting. It can locate by sliding grid freely to save cutting time. 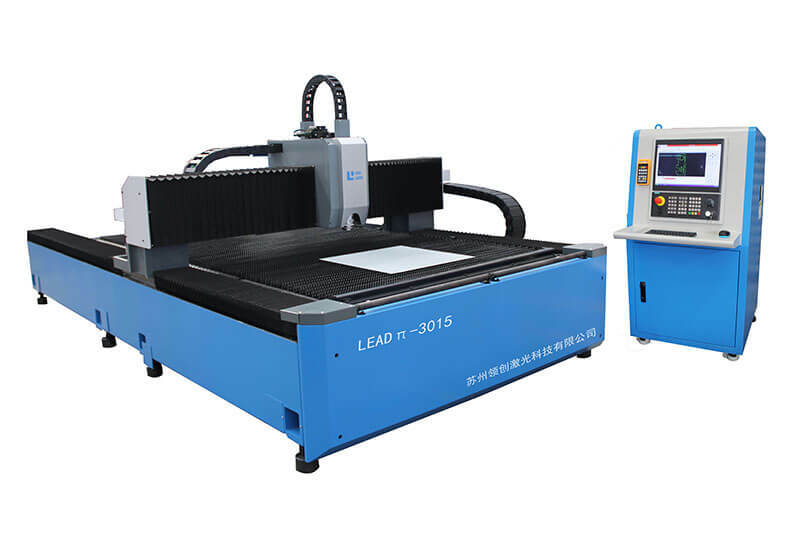 You can load sheet and located plate from both front and behind sides to more precision cutting. Dust-removal structure on base part adopts “attached” device. The dust-removal tuyere is very close to the below area of cutting parts. 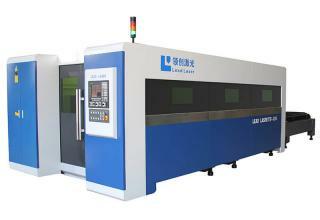 Which is more efficiency and avoids the laser cutting beam to ensure the life of the dust removal device. 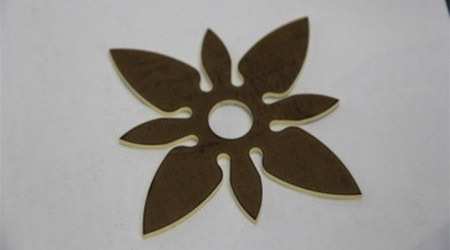 The laser cutting head by special designing can do high-efficient cutting for a special material thickness through deploying the optical parameters of the focus、the diameter of focus、light waist. 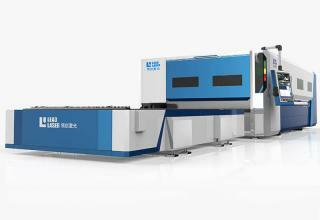 Π-4020 machine with big cutting area has more strongly ability to cut small plate, which can load metal sheet from front and behind by turns to save time. 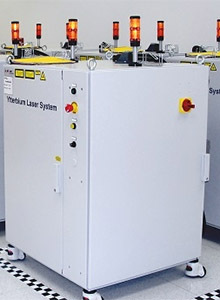 Germany famous IPG Laser source is with high performance, long stability. 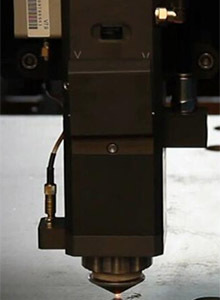 The focus adjustment is performed manually by capacitive distance sensor. The cutting lens and collimation lens is protected with a transparent window to avoid any back-spatter. With improved suction system for fumes and smokes, scrap pieces and heavy dust fall through the cutting tables into separate boxes that can easily be taken away from the side of the machine. 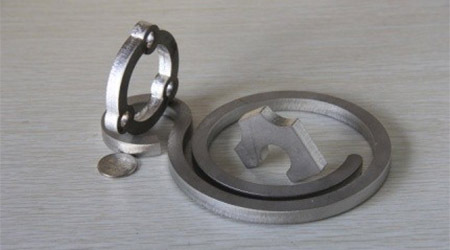 Available for cutting such metal sheet as stainless steel, carbon steel, copper, brass, alloy steel, aluminum, gold, silver, titanium and so on. 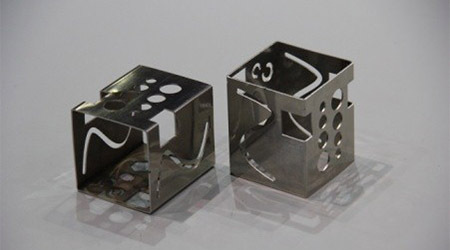 Widely used in the sheet metal processing, shipbuilding, automobile, rail transportation, agriculture machinery, advertising board ,kitchen utensils, machinery, elevator and so on.